FDN03 - Our first Vinyl release! FDN03 - our first vinyl release: putting these tracks on 180 gram vinyl records, each one hand stamped. 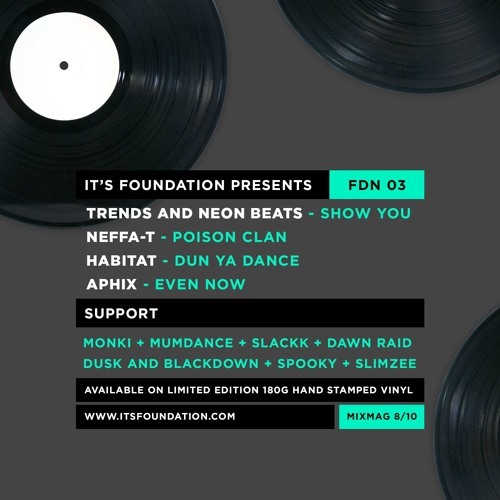 Support from Monki / Mumdance / Slackk / Spooky / Slimzee / Dawn Raid / Dusk & Blackdown + more! Check out the previews below, feedback welcome! Will update this post once on sale and once the free download is available.